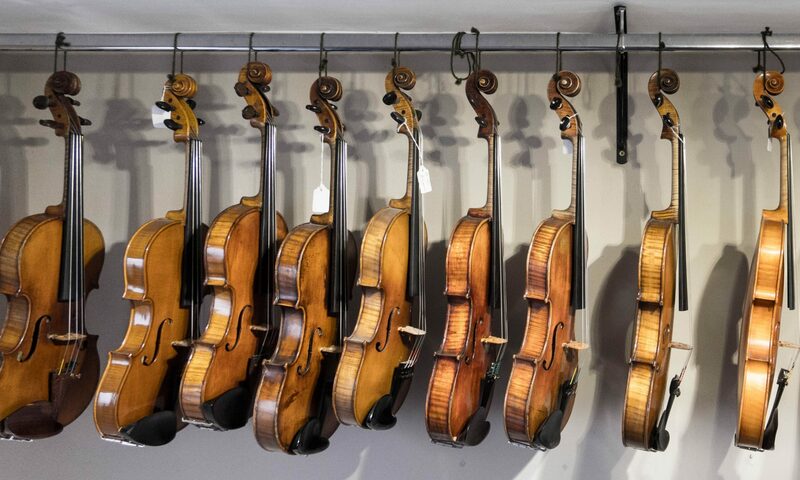 Martin is a traditionally trained violin maker & restorer and has been working professionally since graduating with Merit from the internationally renowned Newark School of Violin Making in 2001. On returning to South Wales, Martin set up a small workshop with a relaxed environment where customers could discuss requirements directly. You will always be assured of an honest and expert personal service at all times. From Martin’s private home-based studio workshop, all aspects of the trade are passionately pursued. From improving the tone on clients instruments to full professional level set-up work; minor repairs to complete restoration on valuable antique instruments. Well established within South Wales and beyond, Martin continues to undertake work for players in the BBC Orchestra of Wales, Welsh National Opera, RPO, Cardiff Sinfonia and Brecon & South Powys Music Services, as well as schools across South Wales.